All academic programs at McMaster are reviewed on an eight-year cycle and the Neuroscience Graduate Program is preparing to step up to the plate! In 2018-2019, our program will undergo an external review following McMaster’s Institutional Quality Assurance Process (or IQAP) to critically assess and enhance the program’s curriculum, pedagogy and overall experience for students and faculty. Our IQAP review team is currently working hard to develop a self-study document that provides a reflective, analytical, and evaluative snapshot of the Neuroscience Program for the external reviewers. This self-study assesses the program’s strengths and weaknesses, issues raised by faculty and students, future goals and potential barriers, and overall contributions to McMaster. In addition to the self-study document, the program review will involve a site visit which will be conducted over two days in Spring 2019. This visit will provide faculty, staff and students with the opportunity to meet with reviewers and discuss their experiences in the Neuroscience program. The self-study and site visit are intended to represent a holistic and inclusive review of the Neuroscience program and as such, all faculty and students are encouraged to partake in the IQAP process. From providing feedback in surveys to helping write the self-study document to meeting with the review team, there are many ways to get involved! Please say tuned for updates throughout the year ahead as we continue to prepare for our review. For more information about how you can get involved, please email Sandra at: smurphy@mcmaster.ca. 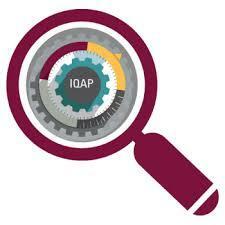 For more information about the review process, please check out the McMaster IQAP website.